We are active supporters of Fareham & Gosport Basic’s Bank. 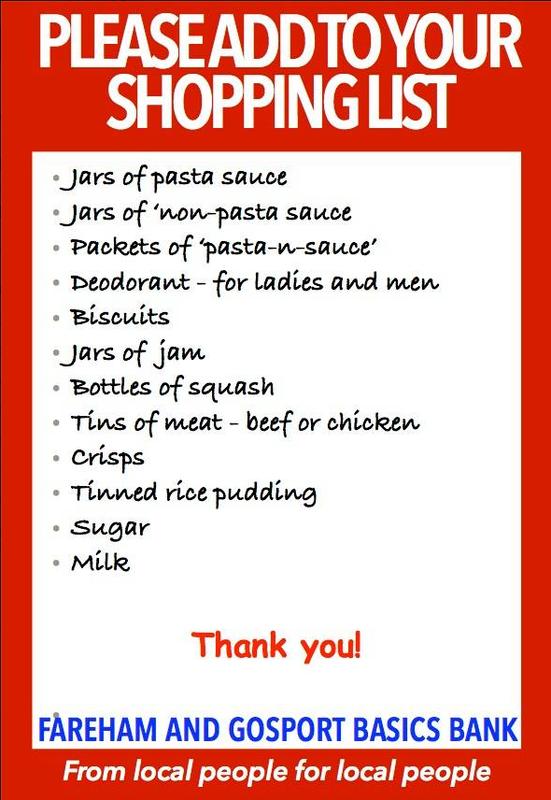 An updated list of the most urgent things that are needed can always be found on the notice board at back of church, but all donations are appreciated. The latest list is also to be found on the Basic’s Bank Facebook page.